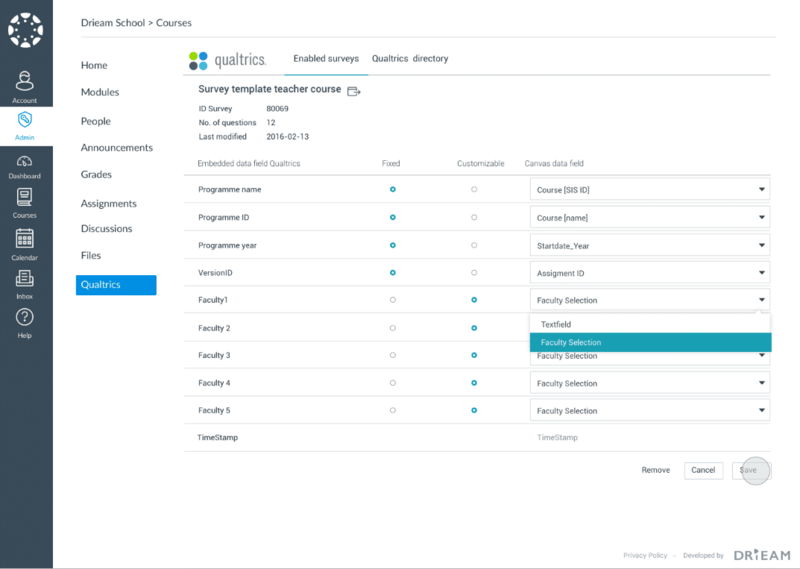 Our Qualtrics LTI application seamlessly integrates Qualtrics with Canvas LMS, allowing Canvas users to easily create, submit and manage Qualtrics surveys in Canvas courses. 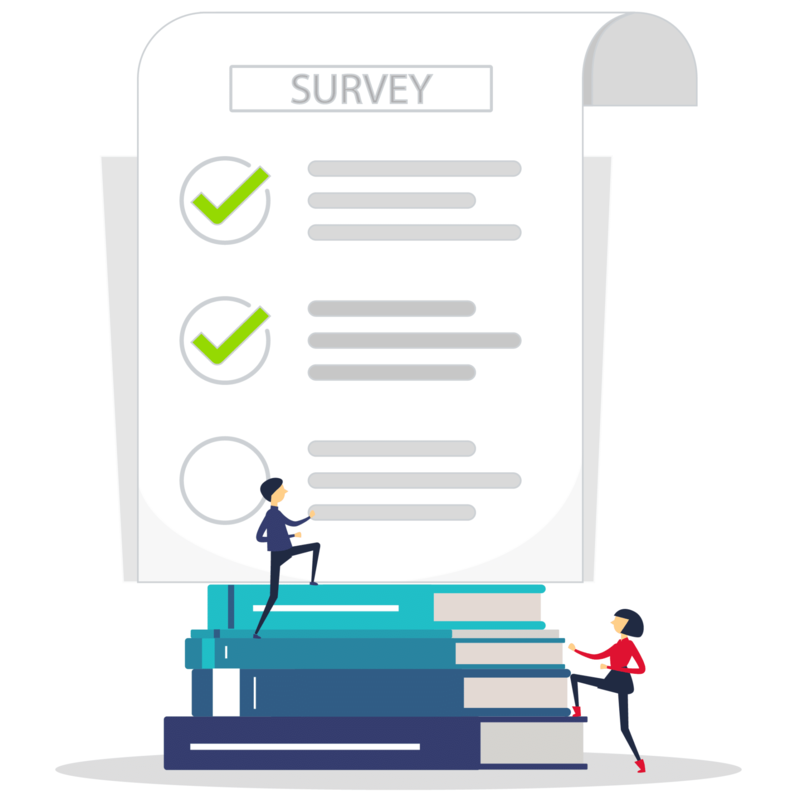 Surveys are set-up as Canvas assignments, and are an integral part of the course. The assignments - and due dates - are shown in the ‘To do’ section and Calendar. After completing a survey, the submission gets registered in the grade book. This helps to make evaluations part of the learning experience, and not a separate task to be done after completion of the course. Admins keep the overview and get in control by managing the distribution of the Qualtrics survey templates. This helps them to gather information and feedback in a structured way. 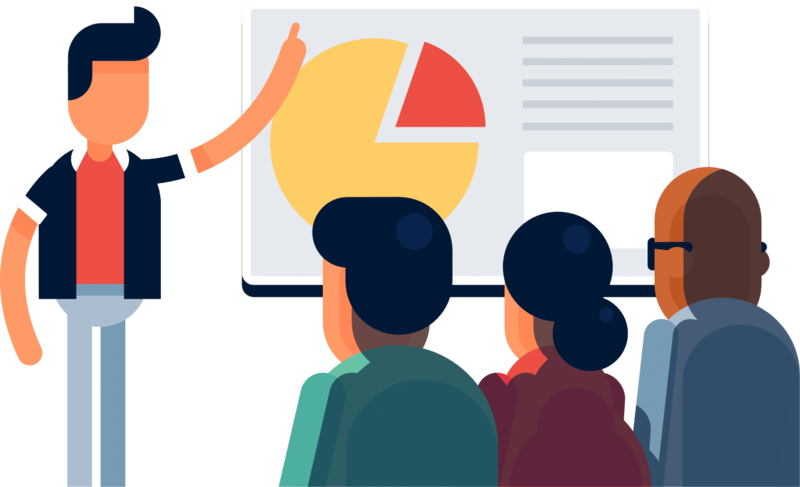 How Qualtrics helps you save time for teachers, students, and admins? With the seamless integration of Qualtrics with Canvas, Qualtrics surveys are easily set-up as Canvas assignments, making them an integral part of the course. Benefit from all options related to a Canvas assignment like deadlines and restricted access. After completing a survey, the submission gets registered in the grade book. 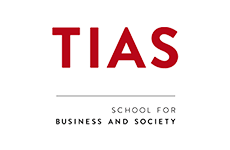 This helps to make evaluations part of the learning experience, and not a separate task to be done after completion of the course. Teachers can keep track of response rates of surveys using the Canvas grade book, but won’t be able to see the answers students gave. Hereby anonymity of surveys can be guaranteed. 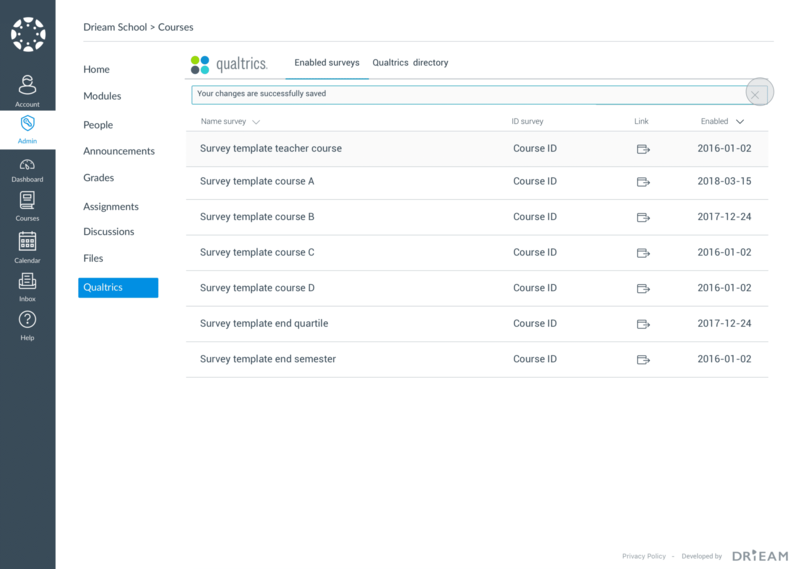 The Qualtrics integration makes it easy for both teachers and students to distribute and fill out the surveys within Canvas. Because everything is done inside the course, there is no need to access other systems or websites. Even easier: embedded data fields in the Qualtrics survey can be (automatically) filled with Canvas data. 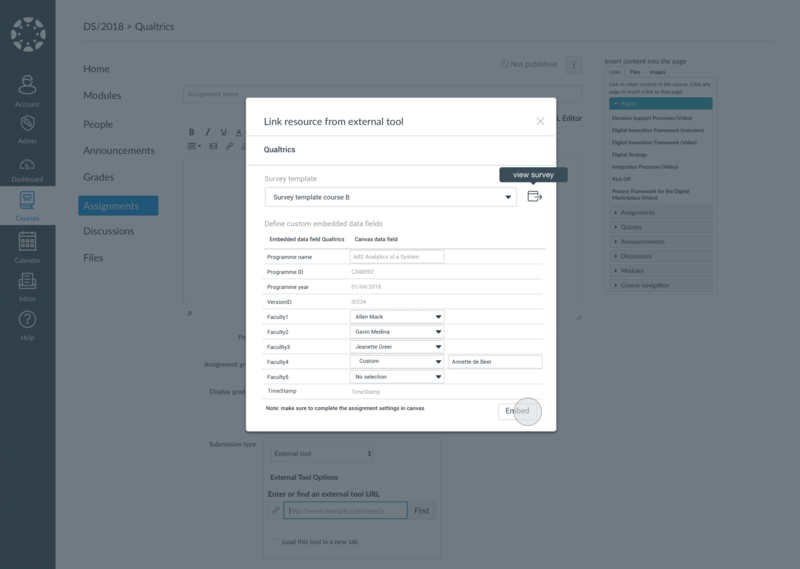 Instead of creating a unique survey for every single evaluation, Qualtrics templates with customizable embedded data fields can be used. Admins control the distribution of the templates and with these templates gather information and feedback in a structured way. This benefits the data analysis.